Join Team ASPCA on Sunday, March 18 at the 2018 United Airlines NYC Half and help us provide life-saving programs and services to countless animals nationwide. With this year's *new* NYC Half course, you'll start along Prospect Park in Brooklyn, head over the Manhattan Bridge, and finish in Central Park. Along the way, runners will pass by many of New York City’s most popular sights, including Grand Army Plaza in Brooklyn, the United Nations, Grand Central Terminal, Times Square, and Central Park! 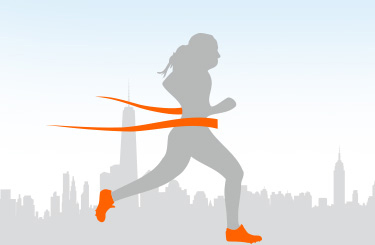 To be part of Team ASPCA for the 2018 United Airlines NYC Half and receive all the above benefits, team members must commit to raise a minimum of $1,250. 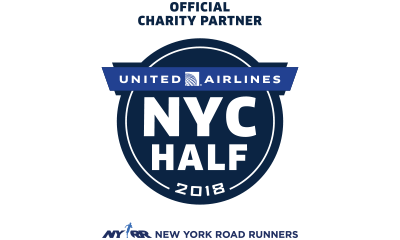 Please Note: Due to the very limited number of 2018 United Airlines NYC Half slots available, you must confirm your commitment by completing a Team ASPCA Recommitment Form linked above (this form will also be emailed to you). This form, and the information provided, will only be used if you are not able to reach 100% of your fundraising minimum by March 4, 2018. Your slot will not be guaranteed without a recommitment form on file. Once committed, there is no cancellation policy. Do I have guaranteed entry once I register online? In order to guarantee your spot, a recommitment form is needed on file. If the recommitment form is not received by the deadline given to you, you will not have a confirmed spot in the United Airlines NYC Half. What if I don’t reach my fundraising minimum? If you do not reach your fundraising minimum by the deadline, we will charge the balance as a donation to the credit card indicated on your recommitment form. What if I cannot participate after I register and submit my recommitment form? Every team member who registers and completes the recommitment form is committed to reaching their fundraising minimum by the deadline regardless of situations that may arise. These entries are crucial fundraising opportunities for the ASPCA which is why we must ask everyone to commit to their fundraising goal when we assign the race entry to their name. When is the deadline to reach my fundraising minimum? You must reach 100% of your fundraising minimum by March 4, 2018. Still have questions? Email our team manager, Ashley, at ashley.mccue@aspca.org. Already have guaranteed entry for the 2018 United Airlines NYC Half and want to raise funds for the ASPCA? Click here for more info!